Welcome to VM Handbook Android app - download systems from WinWorldPC and more! Hey. I made an Android app. You can browse and download systems in it. There is help and list of keys in my app! In future will be more systems to download and more tips. Please, test it. Click to show full image! Two false positives. But don't worry! Files are copied from WinWorld to my own free ( ) server. In app there are some links to WinWorld servers, but they aren't working. I'm from Poland and I'm 14 years old, so sometimes I can't understand you. Sorry! All AppInventor apps have the same WhiteArmor false positive on VirusTotal. I know this because I have developed apps with it. They are certainly not for public use, and are not on the Play Store. So I can't share them with you. I even asked an AppInventor admin about this false positive (it's called PUP.HighConfidence FYI) and he said that to fix such an issue would require a "major rewrite of the AppInventor codebase. So if you're up to that, by all means do it." BTW, Android Oreo was released. Is AppInventor compatible? Imo target API is still for 2.2. Today I will edit my post and add screenshots. Remember, this is still beta. 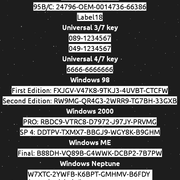 Note: The files, you can download by this app are hosted on my (free ) server and they are copied from WinWorld. How does your app work at the backend? I am interested. Does it use a database (Firebase, etc.) or some other sort of thing? And how would you go about implementing an update mechanism in AppInventor? As for the app's design, you may want to try implementing Google's Material Design (it's not that hard, google will help you) for the titlebars, UI elements, and such. And if you know how to use Angular.js, Cordova, and understand good UX design (see http://uxchat.me), then you will want to use Ionic to build your app with web technologies. An extremely well-written app that integrates properly with the system will be indistinguishable from a native app (i.e one that is written in Java for Android, Swift/ObjC for iOS). Most importantly, Ionic lets you use the same codebase for multiple platforms. Search for "Ionic Framework" on the App Store for some good examples. If you're able to pay the $25 one-time Google Play Developer fee, then you really should publish this app to Google Play. At a first glance, it looks to be very good. It's simple. app created in MIT App Inventor 2. I can't implement Material Design. And I dont't know any programming language (only C). App Inventor creates (only?) ugly apps. My app is not using any database, only ActivityStarters. Update mechanism? It's simple too. Current version is 0.5. In "Check Updates" I put WebBrowser. After clicking "check", WebBrowser is setting visible to "true" and visiting my server (download.vmhandbook.cba.pl/check.png). If I publish newest version (for example 0.6), I change picture chceck.png to showing "You are using old version". And in 0.6 version, WebBrowser is visiting check06.png. And I'm not too rich to publish my app in Google Play. That's all fine, but how does your app update itself? Do you need to download the new version's APK or does it do an in-place upgrade? Wait! I looked at the screenshots and it looks like you added material design already (look at the titlebar, it matches the material design style perfectly). How did you do that with AppInventor? I downloaded it and tried it out in an emulator, works perfectly. Very helpful too, especially when working on an old system. Just open the app and get started. There is a button to download newest version, if available. It's downloading .apk in default web browser. Although the screenshot above was taken from AppInventor, it will also work with Thunkable. 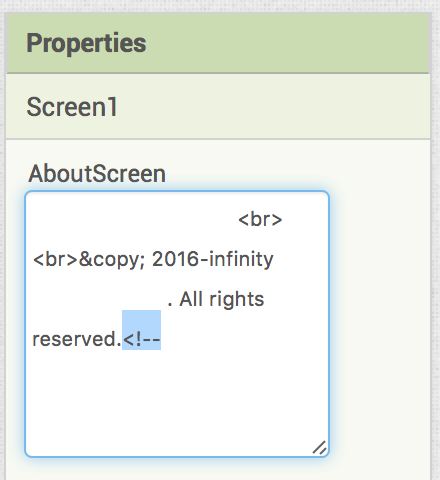 (Note that you can also use HTML entities such as <br> for a line break and © for a copyright symbol, as well as ∞ for the infinity symbol (not shown here). You should also increment the VersionCode with each update (so that the Android device can tell that this is an update to an existing app). - 0.6 should have a VersionCode of 3. - 0.5 should have a VersionCode of 2. - 0.4 should have a VersionCode of 1. One last thing: the text on the first screen should be changed from "Welcome in VM HandBook" to "Welcome to VM HandBook". 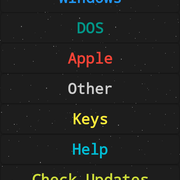 I'm building new version with more keys and Windows, and now with your tip. Thank you! The text on the main screen (at the top) should be changed from "Welcome in VM HandBook" to "Welcome to VM HandBook". 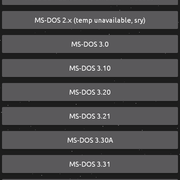 Do you have a VirusTotal link for the new version of your app? If everything checks out fine, consider uploading your app to http://apkfiles.com and apkmirror. They are both free-- create an account with them, upload your app, and you're good to go. BTW the new app update is really good. Keep it up. Thank you very much for testing and tips! Tommorow (look Warsaw time zone), I will release new version. It has got new update module (1-tap download and install), and fixed some grammar bugs. And after that, I will release another update. Probably with code optimization and/or another Windows to download.